Needing some cat or dog grooming advice? Nadia Crighton investigates this hairy topic. If you are an avid dog or cat lover, you will completely understand the pet hair problem sweeping the globe. During the cooler months, unsuspecting owners lavishly love their fluffy pets with no hint of the masses of hair on their clothes and hands, then suddenly as the warmer weather approaches you are faced with endless tumbleweeds of fur-balls floating around your abode. For many pet owners, seasons are determined by the amount of hair in your house and not the leaves on the ground. Yes! I can hear you cry…so what to do to prevent this mass of hair every spring or summer? And how do you ensure your pet’s coat is kept healthy, and matt free during the winter months? Let’s face it when our pets don’t need to be groomed it’s easy to forget about until kitty jumps up on your lap and you are faced with endless mats and knots hidden underneath their neck and legs. Some breeds require daily grooming, and if you forget, even just for a few days, you can be left with a very knotty, very uncomfortable pet. Mats are not good in your pet’s coat, as the knot continues to grow (and they can grow a very substantial size), they twist the hair tighter and tighter. This can cause pain and inflammation in the area. When the mat finally let’s go (normally after continuous licking on your pets behalf) they can take a huge chunk of hair along with it, leaving your pet with a sore bald patch. Groom your pet daily. This is vital if your cat or dog has a double coat. Ensure to get under the legs and behind their ears. The neck is also a common area for knotting to occur. 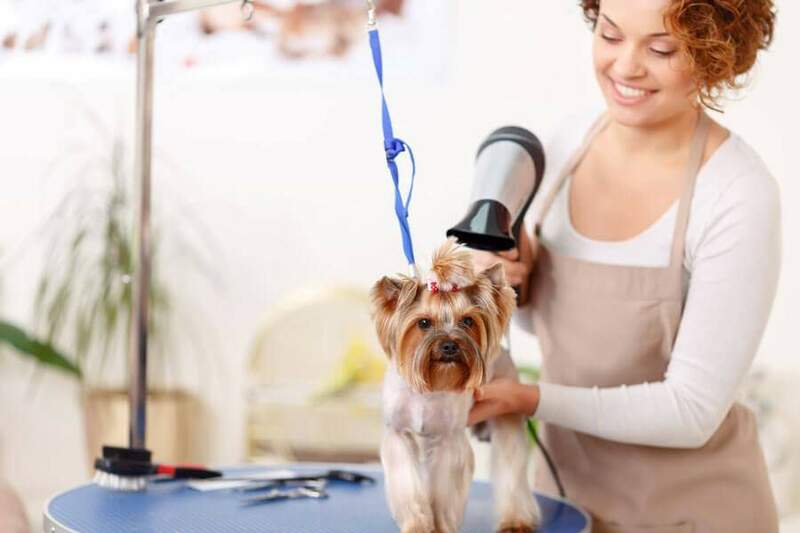 Consider seeking professional advice on your pet’s coat from a dog or cat groomer. Professional groomers can give you endless advice on clipping and grooming and what is perfectly suited to your pets needs. Start grooming your pet when they are young so they get used to all the fuss and can sit back and relax while being brushed. Use the right grooming equipment for the job at hand. There are a huge variety of brushes and combs available for the task so make sure you have the right one. Always brush in the direction of your pet’s coat. Keep a brush handy, one behind the couch, one in the bottom drawer of the kitchen, one outside. Then the second you can give your cat or dog a quick brush. When grooming your pet look for any problems? Dry or flaky skin? Rashes? Bald patches? Mats? Grooming is a great way to give your pet the once over when it comes to skin health and care.